There may be so many video converters that can rip dvd or remove some copyright protection from videos, but Any Video Converter Ultimate can do better. It can also remove DRM protection through the conversion process. After you convert iTunes movices, you can play it on any device or media players for playback, and share the purchased as well as rented video to your family or friends. This tutorial may show you how to achieve the goal in few steps. Let's get started! 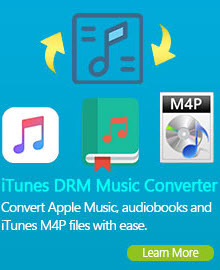 Learn More: How to Convert iTunes DRM M4V to MP4? Digital rights management (DRM) is a class of technologies that are used by hardware and software manufacturers, publishers, copyright holders, and individuals with the intent to control the use of digital content and devices after sale; there are, however, many competing definitions. With first-generation DRM software, the intent is to control copying; with second-generation DRM, the intent is to control executing, viewing, copying, printing, and altering of works or devices. The term is also sometimes referred to as copy protection, copy prevention, and copy control, although the correctness of doing so is disputed. DRM is a set of access control technologies. In 1998, the Digital Millennium Copyright Act (DMCA) was passed in the United States to impose criminal penalties on those who make available technologies whose primary purpose and function are to circumvent content protection technologies. Tutorials: How to Remove DRM from iTunes Video? Step 1. Click Add Video(s) to add iTunes TV shows. Step 2. Select output video format. Step 3. Click the option "Convert Now!". 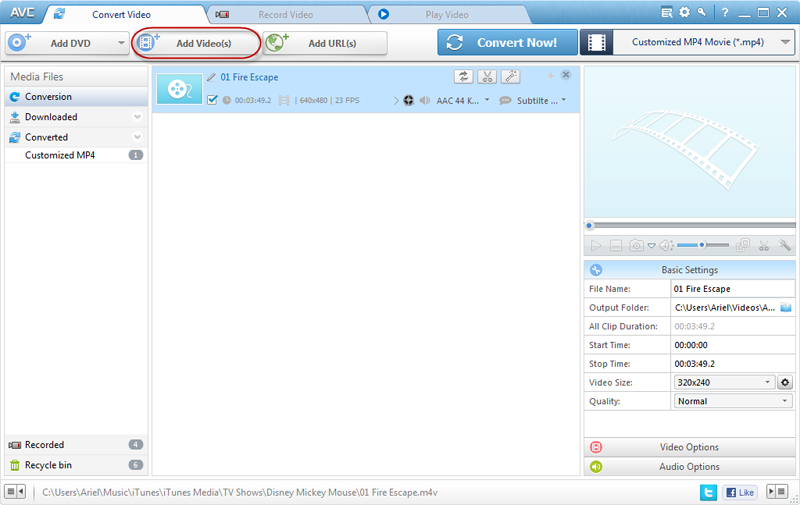 Step 4 Start to record iTunes M4V movie automatically in the separate window. 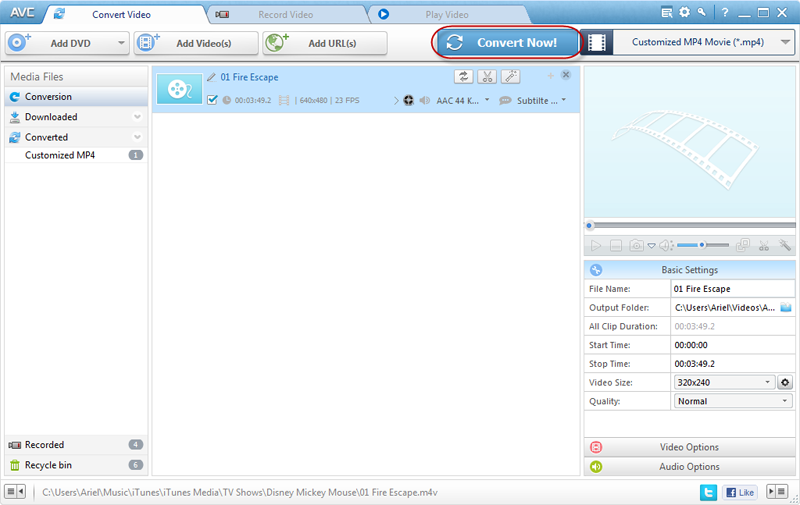 Step 5 Convert the recorded video to desired formats. After you click "Convert Now! ", you will see a hint, and please follow the steps to set the iTunes first. With this versatile MOV to iPhone Video Converter, you can not only convert MOV to iPhone videos, but also are able to convert almost all popular video formats including AVI to iPhone, WMV to iPhone, MKV to iPhone, etc. Apart from its powerful video conversion feature, you can customize various setting such as video size, sample rate, frame rate, etc. to get best video quality for your iPhone. Universal and fast, iPhone (Any) Video Converter will make your videos suitable for iPhone in two clicks. Downloading and converting YouTube video to iPod , iPod, iPhone, PSP, Archos and many other PMPs is also available. Just with a few clicks and several seconds, iPhone Video Converter helps you to save the online YouTube video in MP4, AVI, WMV or many other video formats for your portable media devices. Do you want to enjoy the beautiful music on your iPhone, Any Video Converter could also meet your needs. 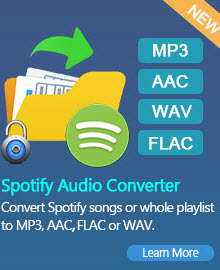 With the iPhone Video Converter, you can extract audio from all videos as well as the video on YouTube and other online videos and save as MP3, AAC, WMA, M4A, WAVE or OGG audio files for your iPhone and MP3 players.